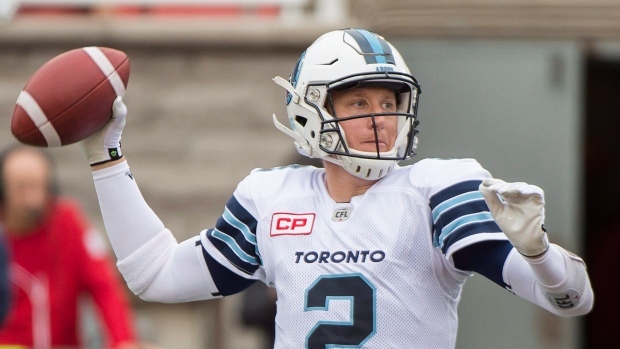 The Toronto Argonauts have made up their mind on who will carry the team at quarterback for the rest of the season. CFL sources tell TSN's Matthew Scianitti that Drew Willy is expected to start the team's final four games and potentially the playoffs. In his first start with the Double Blue on Sunday, Willy went 24-for-35 for 226 yards in a 38-11 loss to the Montreal Alouettes. The Argos acquired Willy from the Winnipeg Blue Bombers last month in exchange for defensive back TJ Heath, a first round selection in the 2017 CFL Draft and a third round selection in the 2018 CFL Draft.